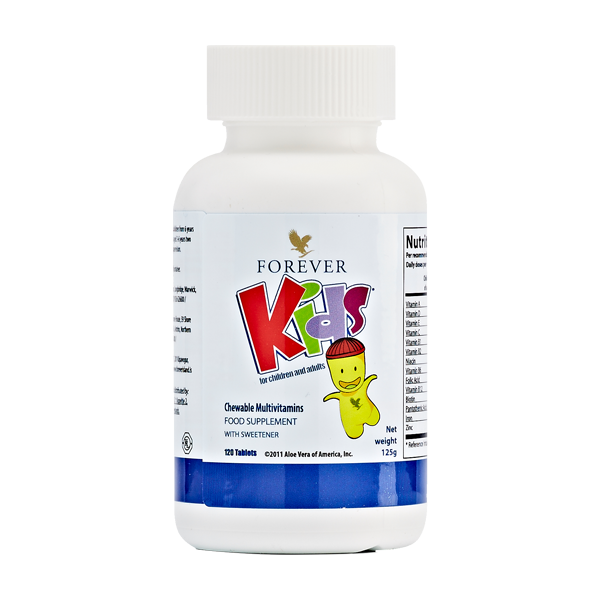 Give your kids the nutrients they need each day with Forever Kids Chewable Multivitamins. These fun and delicious multivitamins provide both adults and growing kids ages two and older with the vital vitamins, minerals, iron and phytonutrients they may be lacking. SUGGESTED USE: For children over four and adults, take four tablets daily as a dietary supplement. For children two to four years old, take two tablets per day under adult supervision.